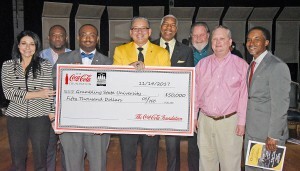 Grambling State University has received $50,000 from the Thurgood Marshall College Fund (TMCF) and The Coca-Cola Foundation to support the Thurgood Marshall College Fund – Coca-Cola First Generation Scholarship Program. Each year for four years, four students will receive $3,125 in scholarships that may be used for tuition, books, or housing for a total of $12,500. To be eligible for the scholarship award, students must be the first in their immediate family to attend college and maintain a 2.8 GPA on a 4.0 scale. 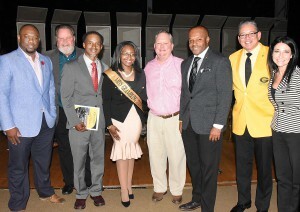 During the second annual Eddie G. Robinson Sr. Leadership Lecture Series, Thurgood Marshall College Fund and Coca-Cola representatives presented GSU President Rick Gallot and Institutional Advancement Vice President Marc Newman with a check to provide support to first generation students. 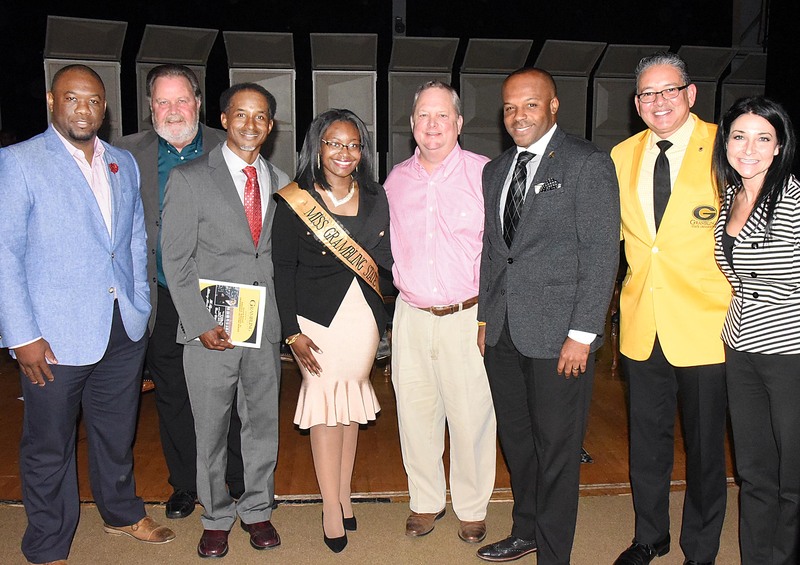 During the university’s Tuesday (Nov. 14) event, representatives from the Monroe Coca-Cola Bottling Company, a sales center of UNITED Coca-Cola Bottling Company, shared their support. 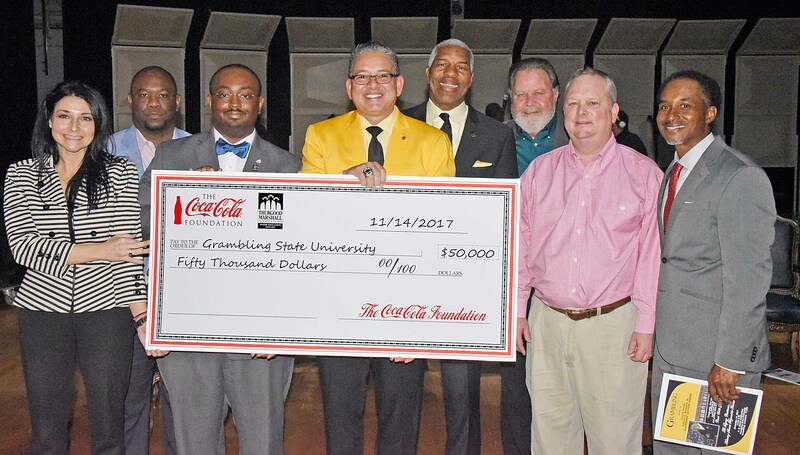 “The Thurgood Marshall College Fund values the tremendous impact of our corporate partners like Coca-Cola who help us fund much-needed student scholarships at Grambling State and all of our 47 member-schools,” said Johnny C. Taylor Jr., TMCF’s president and CEO.